Pictured in the store are a small collection of Obsidian WIndchimes. These are made of materials we are most likely to have consistently available. They are approximations only: no two chimes are alike due to the nature of the materials. The seedpods will be similar in arrangement and the obsidian needles will be approximately the number and size shown. Each chimes comes with an information tag noting the botanical names of the plants as well as a short essay about the obsidian. We also create one of a kind and limited edition pieces. We will eventually show these online (stay tuned), but we also invite you to visit our Show Schedule page. 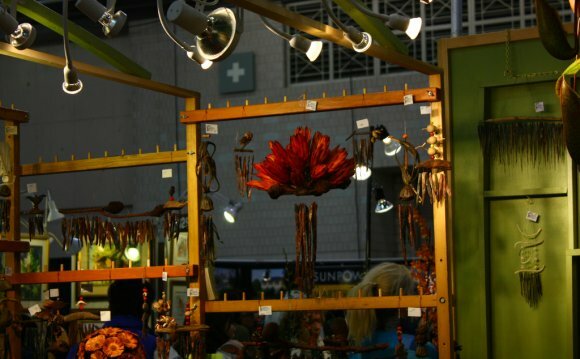 We exhibit at some of the best juried arts & crafts shows in the United States . You may find us showing in approximately 10 cities per year across the country, and we make new chimes for each show. Gift boxes with decorative tissue are available as pictured. If you would also like a gift card and ribbon, please make a note of it in the box provided on the Square order page (note to seller). You are welcome to write a message to your gift recipient. Please remember to include a greeting and how you would like to sign the message. The cards & envelopes are all handmade by Kris Keane (Deb's sister) and all have nature themes. There are also holiday theme cards for the winter holidays, if you have a preference. We do not charge extra for the gift boxes and cards. You may also have us ship to your gift recipient directly. Just include their shipping information on the order. We will use your name c/o our address on the return label in case it is a surprize gift! We use USPS (postal) Priority Mail for all orders, excepting large multi-chime orders, which may be UPS. Delivery is usually 2-3 days from Portland to US addresses for postal, 5-7 days for UPS for large orders. For international orders, please email us for a quote. We will need your mailing address and what you are ordering in order to give you an accurate quote. For US orders, we charge a flat rate of $10.25 for postage and handling. Multi chime orders are charged a total of the $10.25 flat rate as long as all chimes are going to the same mailing address, which represents a savings to you. Most orders will ship within 48 hours, but please allow up to 7 days in the event that we are travelling. Please let us know if there is a time crunch and we will do our best. Please note** for holiday orders: orders received after December 18 may not reach addressee by Priority Mail . USPS will guarantee Express Mail delivery by Christmas for approximately $30 for orders received between December 19 and 22. ** Corporate gift orders are welcome. Please contact us for a quote and time frame. You may notice we have changed our online payment structure. After researching the various online options, we have chosen this new system hosted by Square for processing debit/credit payments. We feel that this is the most secure system, as well as the most reasonable. We think you will find it easy and reliable. While we never had a single breach with our previous system, the bank processor charges became prohibitive and we are happy to leave it behind. You will be prompted to provide email or text for your receipt. This information is not retained by Obsidian Windchimes.